While a closer look at sodium means processors may now feel better looking for their long-lost shaker of salt, consumers still are taking their wariness to the checkout counter. Last April, in the Institute of Medicine Report on "Strategies to Reduce Sodium Intake in the U.S.," Nancy Brown, CEO of the American Heart Assn., stated, "The over-consumption of sodium is a leading culprit in fueling high blood pressure, which is a primary risk factor for heart disease and stroke." She called for a gradual reduction of salt in the food supply. There were two assumptions at work in this reiteration of a long-standing belief by the anti-salt bandwagon, facts notwithstanding. First, that science actually supports the contention that sodium intake among healthy persons is connected to increased risk of cardiovascular disease and stroke. The second is that, as written in the report, "sodium reduction across the food supply will make it easier for consumers to eat healthier food options." The second assumption was recently shown to be 180 degrees wrong — by one of the leading anti-salt proponents, no less. Walt Willett, M.D., Ph.D., of the Harvard School of Public Health, showed sodium consumption to be unchanged since the 1950s while incidence of hypertension shot up. That Americans have continued eating 8g or so of salt daily in spite of the constant negative sodium campaigning shows we crave the savory flavor of salt. In a review published just last month in the American Journal of Hypertension, the link between salt and cardiovascular disease/hypertension was handed a severe blow. The researchers "found no strong evidence that salt reduction reduced all-cause mortality or CVD morbidity." "[The reversal on sodium] is completely consistent with what we, as an industry, have been saying," says Jerry Poe, director of R&D and technical services for Compass Minerals International Inc. (www.compassminerals.com), Overland Park, Kan. "Carbs, fat, salt, sugar — for years ‘experts' told us faulty assumptions as if they were facts. Then, 20 years later we get a mea culpa from them. There are enough studies to indicate this will happen again. I don't know about you, but I'm investing in a salt shaker company." So … what's a processor to do? Basically, follow the laws of supply and demand. Consumers are demanding salty flavor and a lower sodium number on the label, whether or not they are in the mere 4 percent or so of the population for whom lowering sodium could have some possible benefit. But technology has advanced far enough that solutions to lower sodium numbers on labels sacrifice very little flavor and employ some interesting new approaches. PepsiCo Inc. (www.pepsico.com), Purchase, N.Y., had a significant challenge: Salt is one of only three ingredients in its Lay's Classic potato chips. To overcome this, the R&D team focused on new concepts about how the perception of taste reacts to different shapes of salt crystals. At first, they tried powdering salt to better coat the tongue. While that technique gave the flavor more intensity, it peaked and faded too rapidly. Instead, PepsiCo developed a new salt with smaller crystals but of a different shape that could allow for a reduction of about a quarter of sodium levels for its potato chips. The only way the new salt differs from traditional salt is the shape of its crystals. Another way in which salt's structure can make a difference is through its chemical composition. Taste is in part a function of reactions to metallic ions binding to taste receptors. Although virtually all salt is 97-99 percent sodium chloride, the few tenths of a percent of other minerals bind differently and can create more intense, different nuances of flavor. This intensity is why some companies have used sea salt to lower the sodium numbers without diminishing taste. Nu-Tek Products (www.nu-tekproducts.com), Minnetonka, Minn., provides its Reduced Sodium Sea Salt as a natural product that can help mitigate the need for artificial flavors and enhancers. Although as a form of salt it can be used as a 1:1 replacement for table salt, the intensity of the ingredient's components allow it to help reduce the amount of final sodium by 25-50 percent, notes Nu-Tek president Thomas Yezzi. He has noted an increase in demand for such solutions, pointing to the impetus of major entities such as Walmart still pledging to provide less sodium to consumers. Citrus or vegetable powders and concentrates, spices and spice blends are becoming an increasingly common method of enhancing salt-like flavor in savory formulations. LycoRed (www.lycored.com), Orange, N.J., developed such a product in its Sante, a flavor enhancer created from tomatoes that can be used as a way to reduce salt. "LycoRed food scientists succeeded in separating out and concentrating all of the taste-enhancing components that exist naturally in the tomato, but without the tomato flavor," explains Sam Bernhardt, director of new food ingredients. "Sante allows processors to deliver the unique umami and kokumi taste characteristics used instinctively by chefs for centuries, but which only now are becoming better understood." Bernhardt describes the Sante chemists as having "liberated a natural, clean-label, flavor-enhancer suitable for use in almost any type of food." By intensifying the total flavor and enhancing the salt profile, one can remove significant salt from prepared foods. Sante has been successfully applied to formulations "for everything from soups, sauces, meat, meat analogues, snacks and fruit juices – even ice cream," says Bernhardt. The glutamate in tomatoes and other spices can replace some of the impact of salt in foods. Sante further can reduce usage of expensive spices, artificial flavor enhancers, MSG, yeast extracts, nucleotides and other flavor components or ingredients. It has, of course, special synergies with tomato, as well as pepper, butter, cheese, meat and even fruit notes. "All these properties, and it's unique ability to enhance the mouthfeel allow, in some cases a reduction of costly flavor ingredients while retaining a full – or even improved — taste profile," says Bernhardt. There are several considerations processors have to account for if they decide to push ahead with lowering sodium, especially via non-mineral replacers. "When we handle sodium reduction or salt replacement in foods, we look at the entire application and ask the customer up front what is the allowable mg of sodium per serving," says Joanne Ferrara, senior director of research and development for Spicetec Flavors & Seasonings (www.spicetec.com), a division of ConAgra Foods (www.conagrafoods.com), Omaha, Neb. "Typically it's a savory type of food; therefore, sodium can be coming from different sources of ingredients," explains Ferrara. "Sodium can come from added salt or be inherent in the ingredient itself as a result of processing. The product developer hones in on the desired flavor profile, which includes the review of all ingredients – including herbs and spices – which are low contributors of sodium and high contributors of flavor. The use of certain botanicals can boost the flavor profile as well as provide aroma – very desirable." Ferrara also notes that flavor enhancement to gain aspects of saltiness can come from selected savory ingredients that contain inherent glutamic acid and nucleotides – for example, meat products, cheese, tomato and mushroom, etc. – which provide a wonderful, full-bodied mouthfeel. "Because we understand that reducing sodium has flavor, texture and functionality implications, we take a holistic approach to reducing sodium in foods and beverages," says Alexandra Rice, manager of marketing and communications for Kerry Ingredients & Flavors-Americas Region (www.kerrygroup.com), Beloit, Wis.
"Our proprietary flavor modulation technology — ‘fmt' — is a collection of natural flavor systems that utilize customized combinations of process and flavor chemistry, yeast extracts and fermented ingredients to reduce the level of sodium, provide the perception of saltiness and address any texture or functionality obstacles while still maintaining consumer-accepted flavor profiles. Depending upon application, fmt enables manufacturers to achieve sodium reduction levels of 25-50 percent." One thing Rice stresses when it comes to deciding whether to choose sea salt, vegetable concentrates, spices or protein-derived sodium substitutes and enhancers is that "there's no one-size-fits-all solution for reducing sodium across all food applications." Customization is the key to successful reduction. "Many common replacement strategies, such as the addition of potassium chloride, can contribute to off-notes in application. Additionally, there are frequently unwanted reactions, such as browning, between sodium substitutes and other components in the food systems. All of these present unique challenges for development teams. 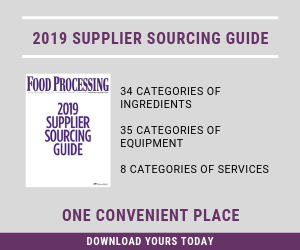 And, because salt is one of the least expensive ingredients used in food processing, cost-in-use also presents a challenge for manufacturers." But such technology is what Rice sees driving the future of boosting savory flavors normally enhanced with salt. Even while salt is finally getting its due vis the science, the future still likely holds a demand for lower sodium products. "Ingredient and flavor suppliers must continue to work closely with manufacturers to ensure that consumers' expectations for taste continue to be met," says Rice. So whatever the science about salt or other perceived-as-negative ingredients concludes, consumers will make demands. And processors will have to adapt to appeal to those demands without sacrificing the flavors that make foods competitive. But don't rush to judgment on either side of the sodium debate.